Why not! 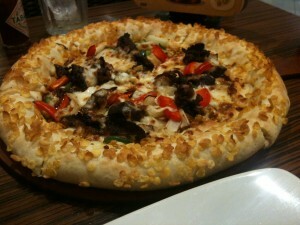 It was on the specials menu at a Jakarta Pizza Hut and it’s pretty tasty. Maybe we should pair cornflakes with more things. Hot dog coated in cornflakes? And fried? Mmmm.